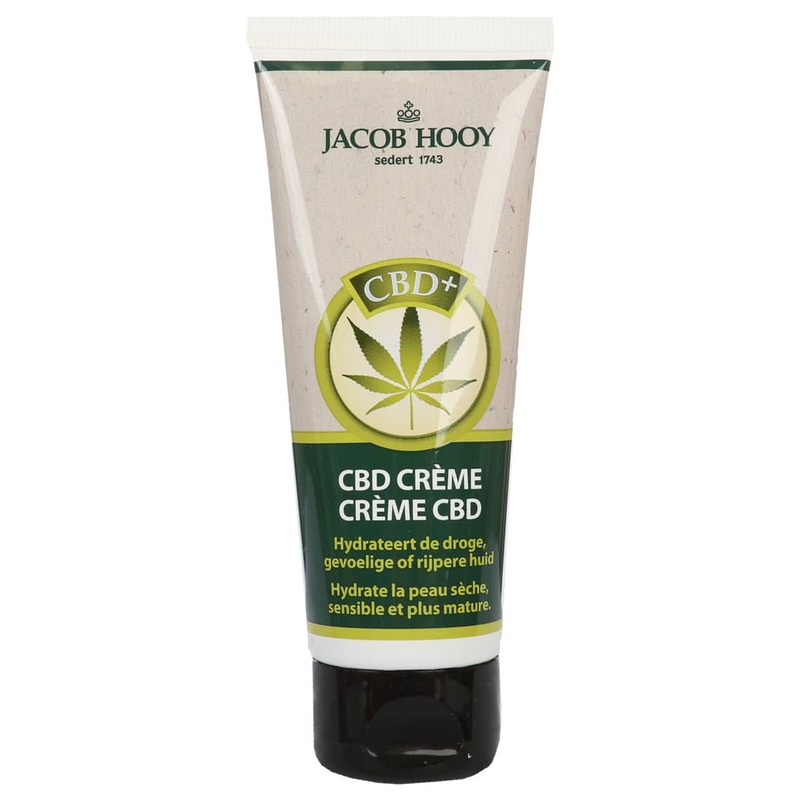 New in the CBD-product line: the cream by the leading brand Jacob Hooy. 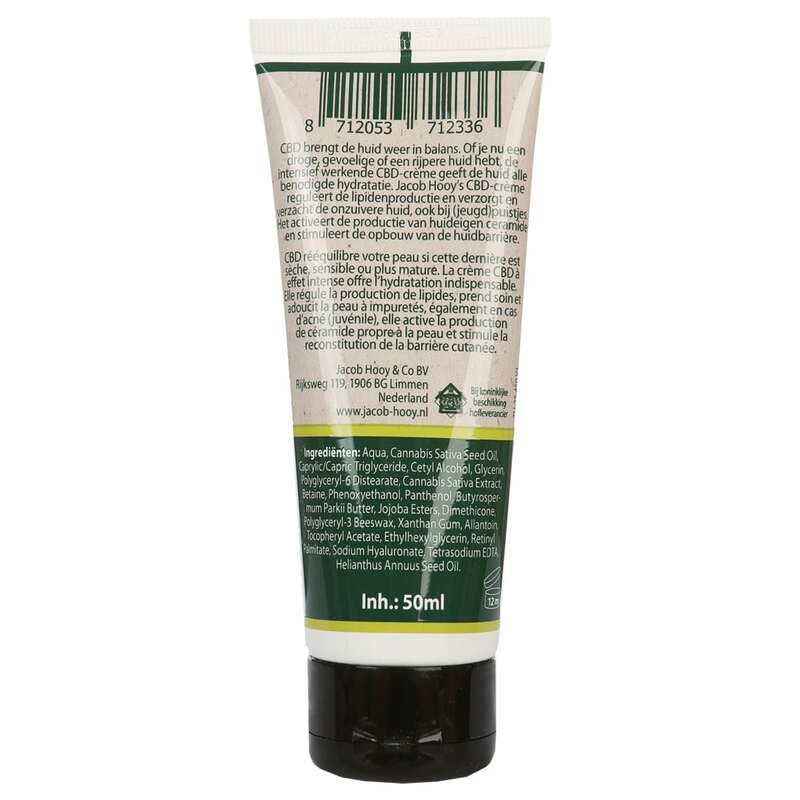 This cream hydrates the sensitive, dry and maturing skin. It regulates lipid production, which softens and nurtures the blemished skin. 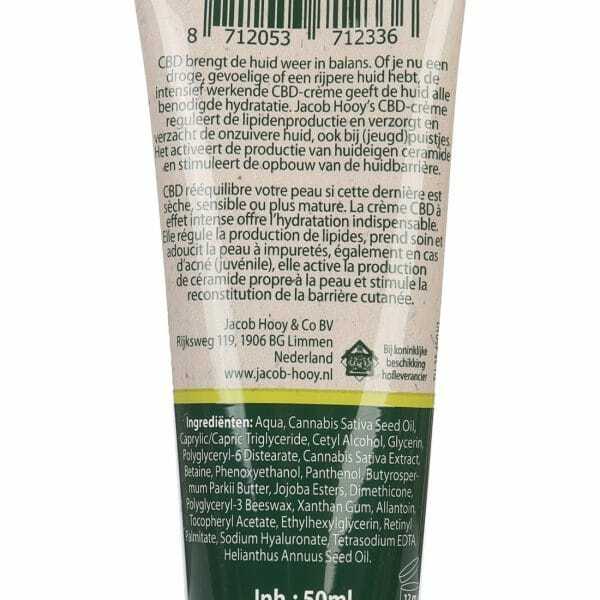 The fine consistency of the crème makes it easy to apply. 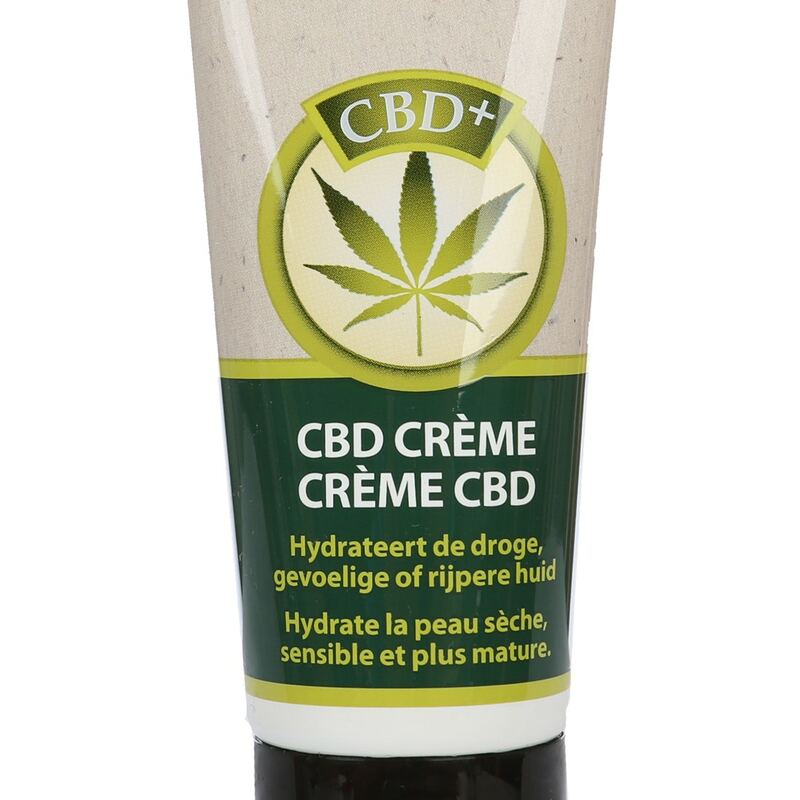 It can be used several times a day.The main active ingredient in the cream is CBD. In addition, it contains many soothing ingredients, which refresh and calm the flushed or irritated skin: It is rich in minerals, vitamin A, CBD proteins, omega-3 and omega-6 fatty acids, and organic compounds. This deliciously scented crème finally provides the solution to dry skin. A Jacob Hooy product: Experience since 1734! Protect and hydrate the skin with the newest CBD crème of Jacob Hooy!Also check out the Jacob Hooy CBD skin oil and CBD soap! 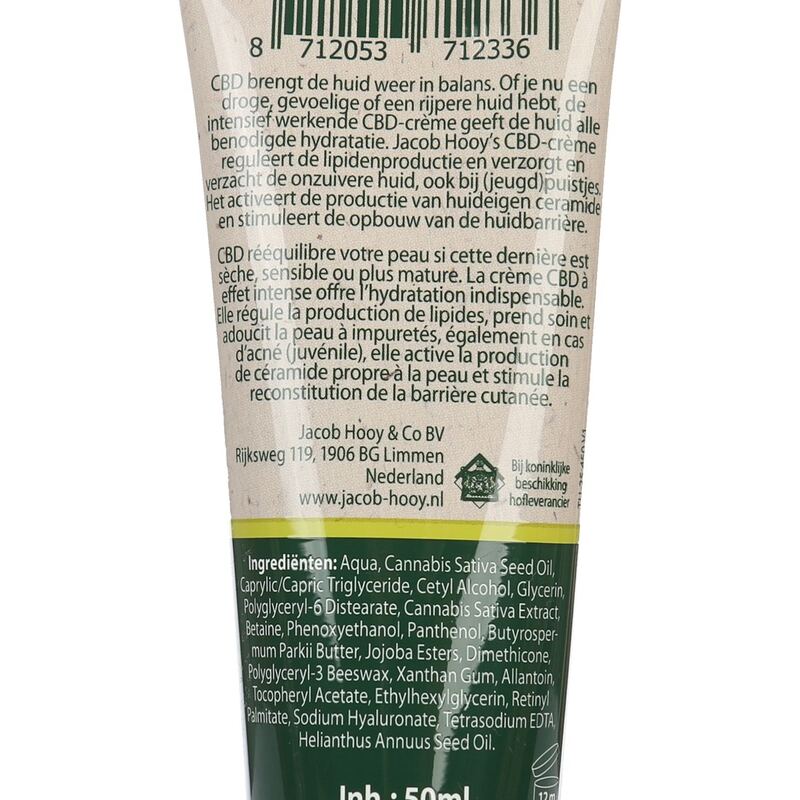 CBD oil only contains trace amounts of THC, and is therefore legal in most of all EU countries. 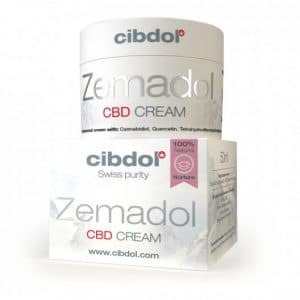 Do you want to bring the cream on your holidays? We advise checking its legality in the country of destination.